It will be quite a pity that the only decent picture of 28 Hong Kong Bar in this post will be its frontage, as they do not allow photography inside. Yet this mystery is the very reason you will want to make reservations to get to experience one of the best bars in Singapore. Heck, maybe one of the best bars in the world for 2012 if it were up to worlds50bestbars.drinksint.com. Some locals do not even know that 28 Hong Kong Bar exists. Its run down, shabby frontage makes you think it’s just one of the closed down retail spaces. You may even mistake the 29 beside it as the bar given its swanky facade and sophisticated lighting (it is believed to be an architectural firm). But if you have reservations, just knock on the door. A receptionist will greet you upon opening and ask for your reservation. 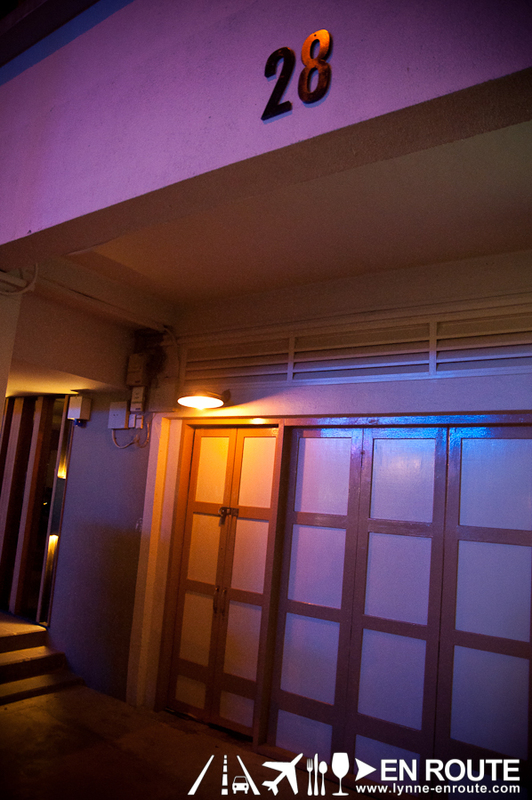 After going through some heavy drapes, you are led to an intimate and cozy place to savor some of the finest cocktails this side of Singapore. For Manila people, imagine this as like Blind Pig Makati or Door 74 of Amsterdam in secrecy, but with more modern interiors. 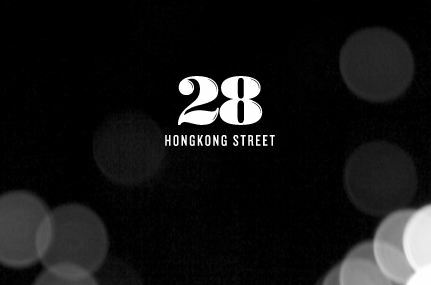 28 Hong Kong Bar draws inspirations from trendy New York speakeasy style bars, with hints of the dark Prohibition Era. The music is on the modern upbeat lounge type with a dash of old school rock, and the noise can get loud. But at least it will never be overcrowded as they limit the number of people going in. And it will not be complete without some of its signature cocktails, masterfully overseen by the famous Michael Callahan. The cocktail mixes are reasonably priced for Singapore standards. We are talking of a range of SG$24.00-SG$30.00 for the drinks. Quite expensive when related to Manila standards, but then again, alcoholic beverages in Singapore is around this range. And when you taste the craftsmanship of the cocktails here compared to the clumsily splashed drinks in some of the trying hard, sardine can-like crowded clubs, you will be spoiled and start yelling at sloppy slushing bartenders. To keep with the mystery, pictures of the drinks will be replaced with a plain black space. A little imagination will do wonders for the curious at heart. Beginner’s Luck is a vodka-bourbon based drink with home made earl gray and basil gomme. Beautifully crafted with the right balance of flavors. No sting in the throat for this one. Hard to Port has some house made porter beer reduction on rye whiskey, bonded together with egg white and dashed with a hint of lemon and what appears to taste like allspice. This one is a work of art. But if there’s a drink worth getting, it will be the Ramos Creole, with its base of curacao, secret bitters, and absinthe. It is also added with sugar, water, and love. It seems to leave a very sensual impression. Singapore may have bars and clubs everywhere, with kids and foreigners just mashing the night away with endless booze batches. For the more discerning, steady feeling, chill bar hopper looking for one of the best cocktails in Singapore, no look further than 28 Hong Kong bar. Website is http://www.28hks.com/ . But trust us, that site won’t give anything away at all. Saw the website. HUH. Nice strategy. Yeah! It’s smart actually. At least they don’t spend to maintain the site so much.